An iPhone mockup pops up in China, is it the real deal? It’s that time again, folks – the time for the iPhone 5 rumor of the week. 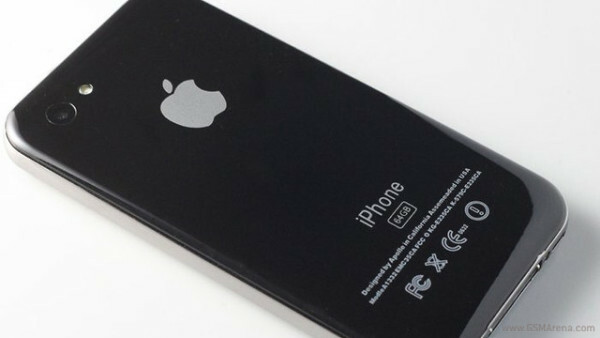 This time we came across some snapshots of a mysterious iPhone with a design unseen so far anywhere. So, naturally, the question is whether this 64GB would-be iPhone is the real deal or not – is this the fabled new design the next generation iPhone will offer? Well, here are some arguments that just quickly popped to my mind – the volume keys are again a single piece – which is a step backward from the current design logic. The device looks tangibly thicker than the iPhone 4 (which is just 9.3mm) – a definite no-no in today’s tech design trends. The outer rim of the phone doesn’t look like an antenna or even made out of steel (it just looks plastic – see how the Apple logo doesn’t seem reflective) so I can only assume this thing’s fake. Oh, and also look at the bezel around the screen – and there’s also considerable slack space above the home button. And finally the sign – “Designed by APOLLO in California” doesn’t scream legitimate either. So the verdict is… fake, definitely! I just can’t believe this is the real deal. It looks sort of like the 3G/3GS design but worse. But hey you guys can go with your own guts and even post what you think in the comments.